Energy Casino is also running a special promotion for Easter. 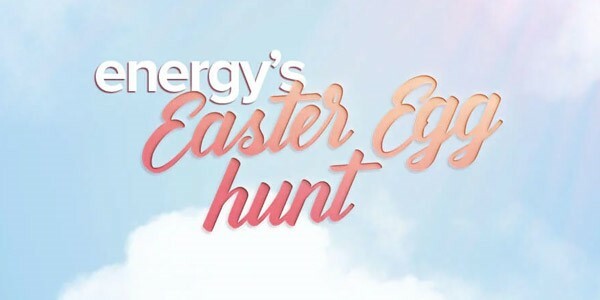 Energy’s Easter Egg Hunt. This promotion will run for 5 days, from April 17th until April 21st. Each day a new promotion will become active. What the promotion is will be hidden until the specific day starts. So just visit Energy Casino each day and see what the current promotion is. They did reveal that you are able to claim daily rewards with daily challenges. The first day, April 17th has already been announced. Play the games Book of Ming, Book of Oz or Great Book of Magic and receive free spins on a classic slot game the next day. If you don’t have an account yet and still want to participate in this Easter promotion, make sure to create an account today. Did you know that all new players will receive €5,- no deposit needed. Ideal to give Energy Casino a try without losing any of your own money. And you can also claim a first and second deposit bonus up to €200,- each. Energy Casino also has weekly reload bonuses and other weekly promotions running all year round. At Energy Casino you can find games from NetEnt, Microgaming, Big Time Gaming, Gamomat, Play’n Go and other, smaller, providers. Visit Energy Casino now for your no deposit bonus or join the Easter Egg Hunt starting tomorrow.